I’ve been getting a lot of angry comments on my earlier post (“Where’s My Refund“) regarding the payout of the economic stimulus package. Many people are upset they haven’t received their payment even though they filed on time and with direct deposit. While there are a number of factors that could slow your payment down (the IRS was delayed in processing your return, there was an error on your return, or the IRS just doesn’t like you) there is a new one I found out about yesterday: TurboTax. Apparently, if you used TurboTax to file your taxes, you may get a paper check in the mail – regardless of whether or not you chose to get your income tax refund by direct deposit. Under certain circumstances, however, the IRS has decided that taxpayers can only get their rebates by mail, even if they get their refunds by direct deposit. At TurboTax, this will happen if you use a “refund transfer” when filing your 2007 return. This service lets you pay for your tax preparation and/or e-filing from your refund proceeds, for an additional fee, under an agreement with Santa Barbara Bank & Trust . What does this mean for you and me? Well, if you used TurboTax’s “refund transfer” option you’ve actually made two mistakes. 1. You actually paid money for a “refund processing fee” which for everyone else was absolutely free. Since the government did the “processing” of the economic stimulus payment based on your 2007 return (for free)… you just got scammed by TurboTax. 2. You also paid $30 to Santa Barbara Bank & Trust to “loan” you the money for your TurboTax preparation fees. When your refund comes, it goes to Santa Barbara Bank to satisfy your “debt” before you get what’s left over. This is where you got, um… screwed. Since your banking information was used only for the transaction between Santa Barbara Bank and you, it wasn’t passed on to the IRS. As a result, the IRS can’t direct deposit your stimulus payment even if it wanted to… because it doesn’t have your banking information. I sent an e-mail to Intuit voicing my frustration and threatening to never use Turbotax again and received a reply back stating that they would refund my $29.95 processing fee. I gave them a call using the instructions given, gave them a bit of identifying info and the refund should show up in 5-7 business days they said. Score! I have been scammed by turbo tax and Santa Barbara bank and “TRUST” this year. Where’s our class action lawsuit people? Don’t care about the money, I’m just tired of all the dishonesty. ANNDDD… you know what the most ironic thing is???? 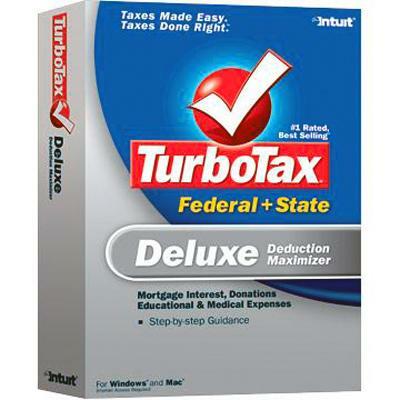 The people who have been the most helpful in dealing with turbo tax’s EVIL are the IRS. They have been amazing actually. You know you must be really bad when you make the IRS shine! A Santa Barbara Bank and “trust” employ I spoke with told me they are bombarded by calls each day with people upset about these unfair practices. She said she wishes someone would do something to fight it, but that everyone “shuts up once they finally get the money”. Even when it’s WAY LESS then what they were owed. WHERE’S THE ANGER???? I called the Santa Barbara Bank today to get my refund of “process fee”. The lady basic told me i can’t do it. Is that way, or number I can call to get refund?